No one loves having to carry a bulky, huge laptop around. Yet when you are in the uni, sometimes you have no choice. Being able to type notes during lectures with your laptop or work with your assignments in the library in between lecture sessions is somewhat a must these days. After all, it’s easier and quicker to type than having to jot down notes with a pen. This is what Acer aims for with their latest Acer Aspire E11 laptop, an 11-inch laptop with ultra slim and a cool FlowCurve design that gives you comfort and productivity on the go. It is mainly aimed for those who are still studying in university (or high school) and longing to have a lightweight laptop with enough horsepower to do some work on it and allow you to have fun at the same time. Some people don’t really game on their laptops. They bought a top-of-the-range laptop with really high specs (like an Intel i7 processor), yet they only use it for creating documents and browsing the web in between. Acer Aspire E11 has enough power to do these comfortably, without blowing your budget. It feature a thin and light design, so you can carry the laptop around daily without having sores and shoulder-ache. 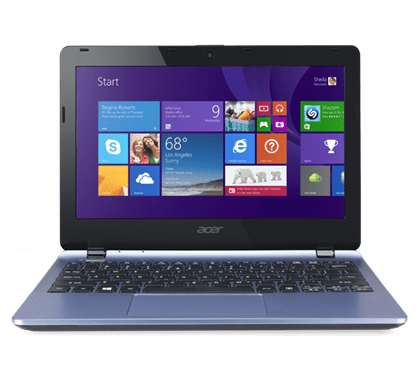 If you hate noisy laptop fans when you need it to be quiet (like in a lecture room or library), you’ll definitely love the Acer E11. It is designed to run cool without any fans. This way, you can still do some work or play some basic games for fun without attracting some stares from the people around you. The E11 is powered by the latest Windows Operating System, Windows 8.1, and has a full-sized keyboard so you can type with ease without feeling crammed. It is also equipped with a touchpad so you don’t need to bring a bulky mouse around. Disclosure: This post has been sponsored by Acer, but all thoughts are our own. Next articleJIBO is probably the robot you’d want to have at home. Maybe.